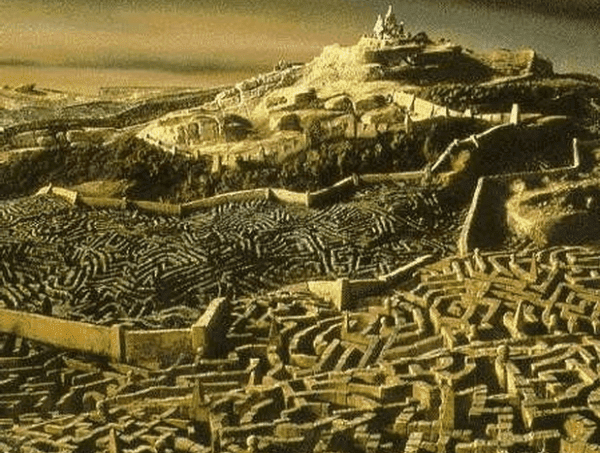 One day you attempt to solve the ultimate maze. A massive underground labyrinth with countless twists and turns. After entering the maze the first junction you come to is a 'T' intersection where you may continue to the left or the right. You decide to turn right. A short while later you come to another seemingly identical intersection, this time you turn to the left. Hours later, after arriving at several hundred identical intersections and more or less randomly choosing left or right you eventually decide to head back (it's being some time since your last meal). Unfortunately you can't remember the way you came and you didn't bring anything useful with you such as chalk or string. If there are only T junctions, then all you have to do to get back is take all of the side passages that you come across, as they are the T junctions that were taken from your original perspective. Effectively, every side passage you come across was a T junction that was taken earlier.